There was a time when travelling in a plane was afforded by few. Now it’s not a big deal. But then, travelling airways was taken to new level, when the private Jets entered the scene. Built and customized on the demand, these are the new status symbols. Here is the list of such expensive private jets. 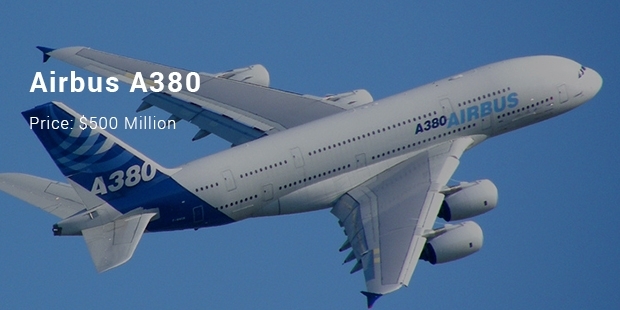 Airbus A380 is the biggest flying machine on the planet. 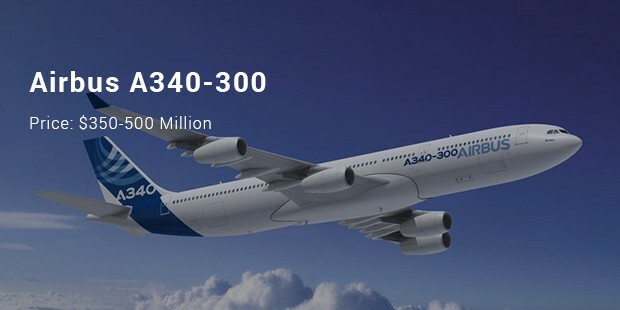 Saudi Prince Prince Alawaleed bin Talal purchased this Airbus A380 for $500 million. 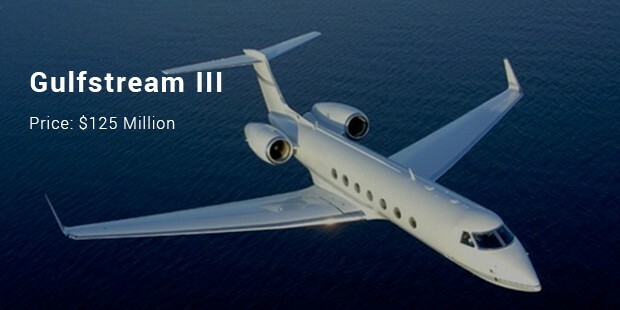 The plane is equipped with two levels, huge living space, a suite and recreational rooms. This aircraft is owned by the richest man in Russia – a billionaire Alisher Ashmanov. 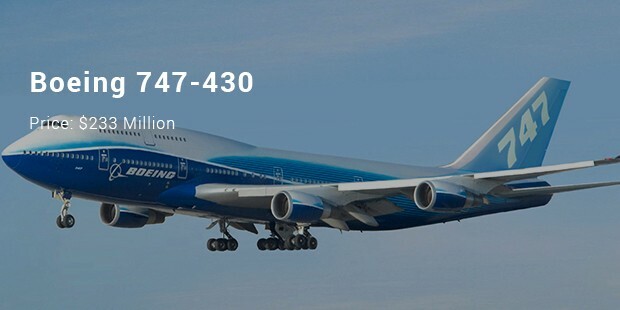 It is the largest private plane in Russia. 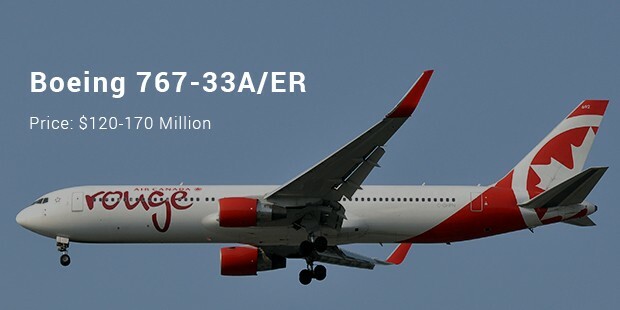 The original price of the plane was $238 million; however, the final cost is estimated to vary from $350 to $500 million considering the interior decoration and technology implemented. The original price of the plane was around $100 million and the Sultan of Brunei, Hassanal Bolkiah has spent in excess of another $100 million on updating its interior which screams luxury with gold details all over the plane. A living room, a bedroom and a bathroom are all decorated with gold and crystal, featuring washbasins made out of solid gold. 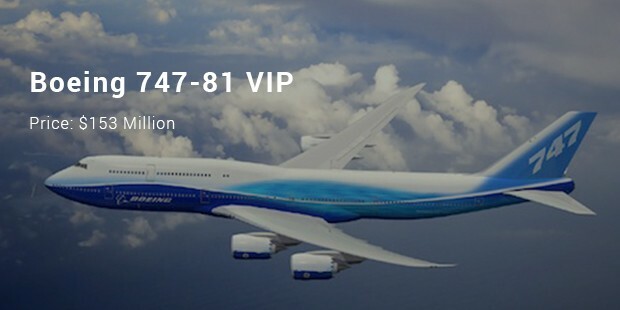 This 747 which was originally configured to seat more than 400 people is customized into a two luxurious bedrooms, a dining table for 14 people and a throne in the middle of the plane. 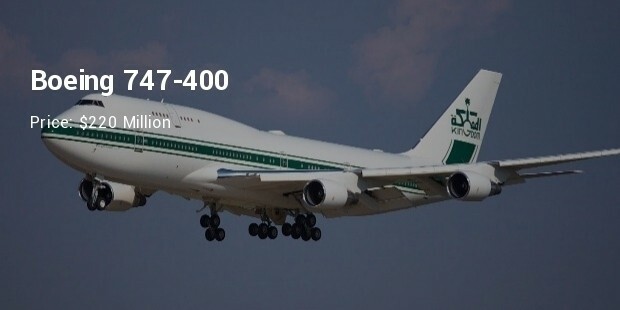 This private plane belongs to the Prince Al-Waleed bin Talal of Saudi Arabia. The luxury has reached the sky and money is spent to make these beautiful flying machines into a palaces. 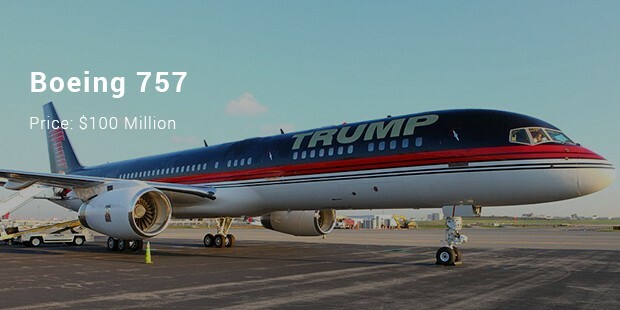 From businessmen to royalty, many have their own private planes. They are a symbol of their achievements and represents their status.